Colegio Americano de Quito opened its doors on October 14, 1940 with 162 students, offering a secular education based on democratic principles. Its founder – Gala Plaza Lasso and Boaz Long began a long relationship between the two countries educating future leaders on principles of equality, active participation, freedom of expression and respect for others. The founders lived in a fascist era and with a timely vision, determined the need to educate young people with deep democratic principles. The fulfillment of this vision is evident in the long list of outstanding alumni in among others; politics (including Rodrigo Borja, President of Ecuador), finance, industry, law, medicine, art, music, education and journalism. 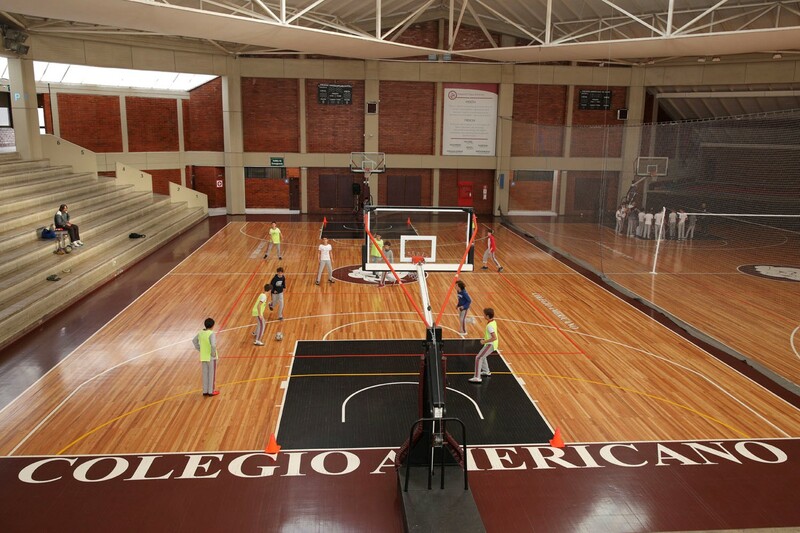 The American School of Quito is a private, not-for-profit coeducational school, which offers an educational program from Nursery through Grade 12 for students of all nationalities. 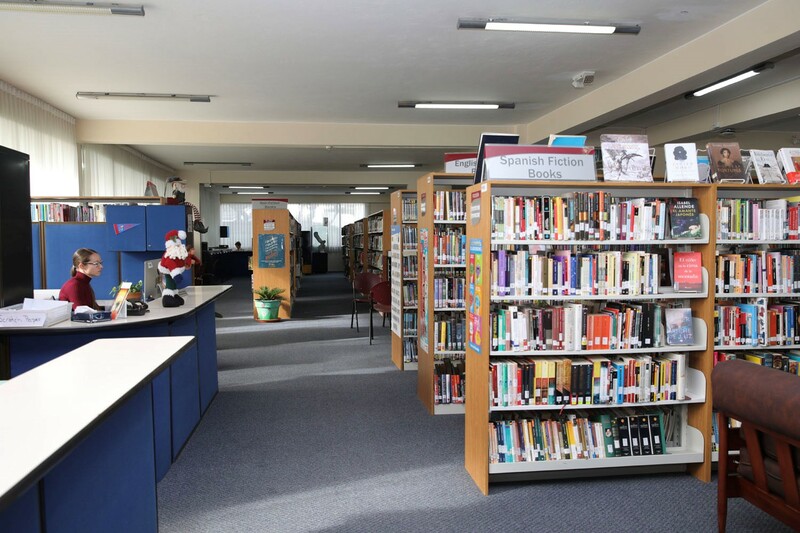 While American in nature and philosophy, the school is distinctly Latin compared to its counterparts in the international community, as 95% of the students are Ecuadorian nationals. The school year is delivered on a five-month semester system. The American School of Quito is officially recognized by the Ecuadorian Ministry of Education, the International Baccalaureate Organization and is accredited by AdvancED, an accrediting organization from the United States. The school has a National Section comprised of primarily Ecuadorian students where 50% of the classes are taught in English and 50% in Spanish. The school also has an International Section with both Ecuadorian and international students where 90% of the classes are taught in English. 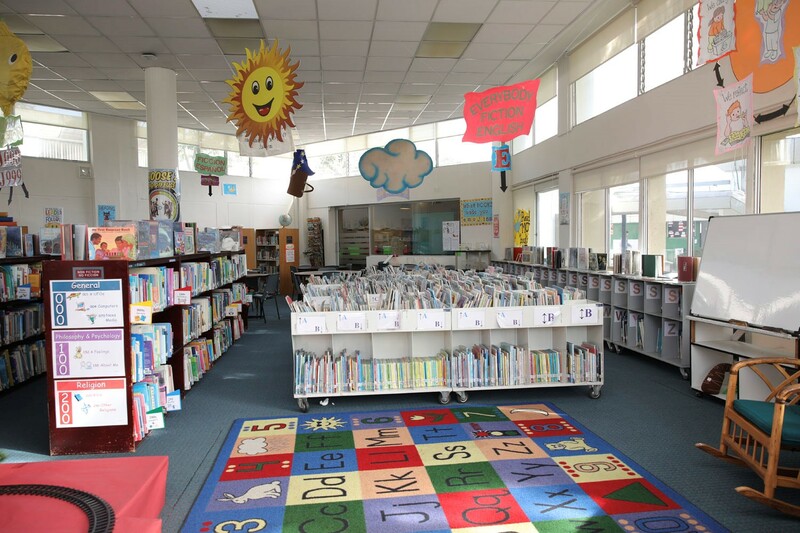 The American School of Quito operates in three sections: Primary National Section (Nursery to Grade 6), Secondary National Section (Grade 7-12) and International Section (Pre-K – Grade 12). To educate with excellence in an environment of liberty, responsibility and democracy, well rounded human beings with integrity, committed to their well-being, that of society and the environment. 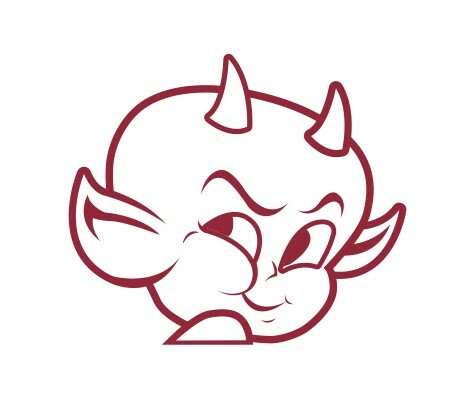 To be recognized as a leading bilingual school for excellence, in the forefront of academic and humanistic programs, educating in a safe and harmonious environment, well-rounded human beings with integrity, capable of making positive change. Respect: To demonstrate consideration toward ourselves, others and everything that surrounds us, accepting and appreciating differences. Solidarity: A sincere commitment, free of ulterior motives, to take individual or group action that will benefit others. Honesty: Transparency in our actions and relationships with others. Responsibility: To fulfill with excellence our obligations and assume the consequences of our actions. Inner Strength: To face life with optimism and courage. Academics: The School must offer a cutting-edge curriculum thus allowing students entry into the university of their choice. Additionally, the School will create a positive learning environment with high academic standards, 100% bilingual that develops inquisitive, creative students with research, problem-solving and decision-making skills capable of reflecting on their own learning processes. Change Agents: The School must create opportunities and prepare students to propose and lead, displaying responsibility toward themselves and the community, positive changes for the environment aligned with our institutional values. Global Vision: The School must provide opportunities and reinforce in the curriculum connections to local and global realities, in order to create self-reflections that promote a commitment to service and respect for differences. Life Skills: The School must maintain, strengthen and innovate in inclusive programs, with the objective of developing students who display a strong sense of self-confidence, excellent communication skills, perseverance, a connection to nature and respect for others through the use of tools that will enable them to take responsibility for and accept the consequences of their decisions. Values: The School must strengthen programs that promote the institutional values: respect, solidarity, inner strength, responsibility and honesty. Students, parents and staff must commit to live these values on a daily basis. 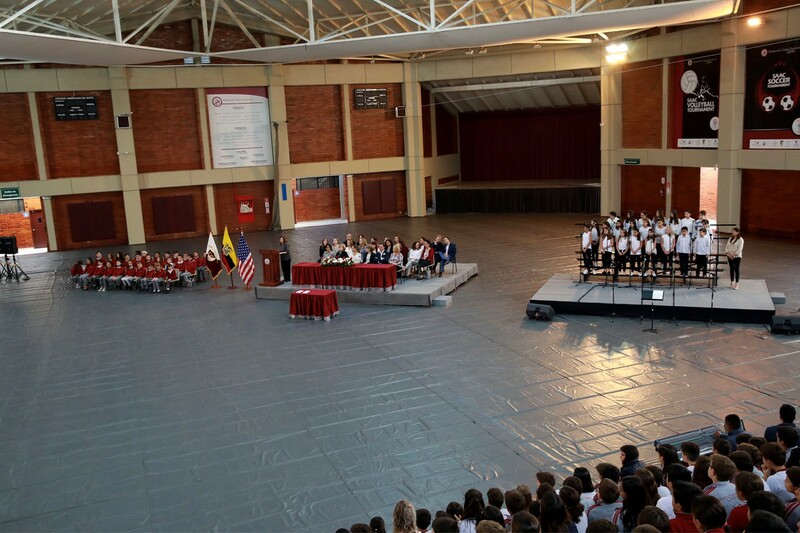 The American School of Quito currently has 2,331 students from Nursery through Grade 12 and has among its students, the children, grandchildren and great-grandchildren of the first families. The National Section currently has an enrollment of 2,005 students of which 136 are in Nursery, 1,131 in Primary (Elementary) and 738 in Secondary. 95% of the students in the National Section are Ecuadorian. The International Section has 326 students of which 3 are in Nursery, 137 in Primary (Elementary) and 186 in Secondary. 85% of the students in the International Section are Ecuadorian and the remainder of the students are from other Latin American countries and the United States. The curriculum is based on the International Baccalaureate Program and includes the PYP, MYP and Diploma Programs while also meeting U.S. college preparatory expectations. Students take year-long courses in Computer Science, English, Fine Arts, Mathematics, Physical Education, Science, (Biology, Chemistry, Physics and Environmental Science), Social Sciences (Economics, History, Theory of Knowledge and Psychology) and Spanish. As the school is accredited by AdvancED in the United States, the Ministry of Education of Ecuador and is recognized by the International Baccalaureate Organization (offering the PYP, MYP and IB Programs), graduating students can earn three diplomas; one recognized in the United States, the diploma of the Republic of Ecuador and the diploma from the International Baccalaureate. 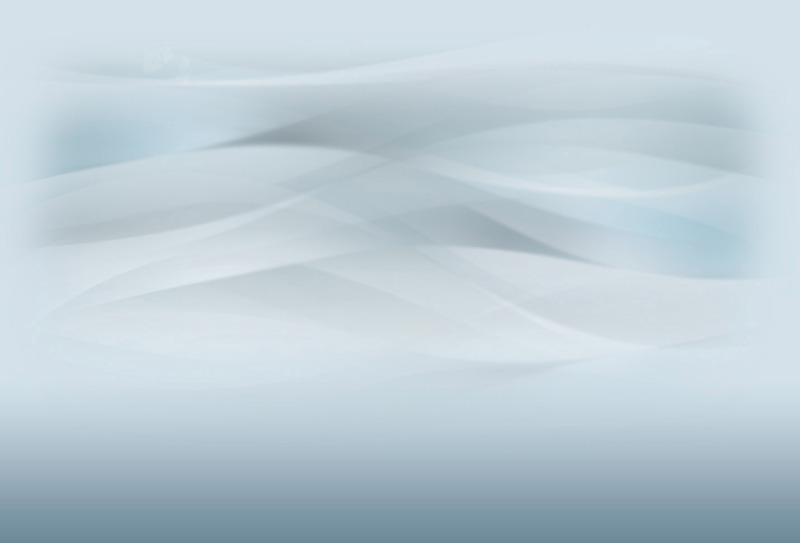 The professional staff consists of 255 faculty of a variety of nationalities. All faculty hold a minimum of a bachelor’s degree in their area of assignment, as well as a teaching certificate or local license and/or an advanced degree. The school years consists of two five-month semesters which extend from August to December and January to June. The school is located on a 25-acre site to the north of the city in Carcelen. The facilities include a centralized administration building, 145 classrooms, three cafeterias, two libraries, 12 science laboratories, seven computer labs, playing fields for soccer, basketball and volleyball, a regulation size track, a large covered areas seating approximately 1,300 students to be used for assemblies, theater productions and other student activities, two covered regulation-sized gymnasiums, an auditorium and a parking lot. The School also includes a state-of-the-art facility that currently houses the Nursery program. The school is governed by a 22-member Board of Directors elected to four-year terms by the General Assembly of the American School Foundation. Working directly with the Board of Directors is the Director General. The American School of Quito is located in the city of Quito in central Ecuador. Quito is located at 9,400 feet above sea level with a population of approximately 2.6 million inhabitants. Quito lies at the foot of Mount Pichincha, which is also an active volcano. Quito is known as the City of Churches, due to the spectacular colonial churches and architecture in the historical center of the city. The city is also a designated UNESCO Heritage Site. Quito has all of the conveniences of a modern city with shopping malls, movie theaters, art galleries, cafes, clubs and restaurants. Quito has spring-like weather year-round where the temperature range is between 55-75 F with no major seasonal changes other than times of increased rainfall. Quito lies in the highlands in the center of the country with beautiful beaches to the west and rain forests to the east. The Galapagos Island are 600 miles off the Coast of Ecuador. Ethnic Groups: Mestizo (Mixed Indian and Spanish): 65%, Indian 25%, Spanish and others 10%. The Board of Directors of the American School of Quito is seeking a new Director General for a minimum three-year contract beginning in the 2020-2021 academic year. The Director General will be responsible for all aspects of the School’s operations and work closely with the Board on strategic and long-term planning with an eye toward both educational and financial planning as a priority. Model the American School of Quito’s Mission, Vision and Core Values. 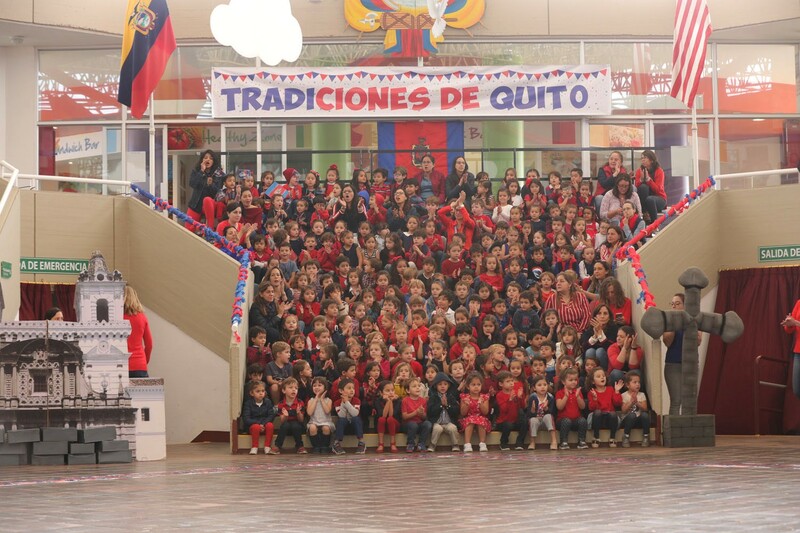 Honor the American School of Quito’s history and traditions. Ensure excellence in both the educational program and the administration of the School. Provide learning-centric leadership to students, parents, faculty, staff and administrators. Work with the Board of Directors and School’s management to develop and implement policies, procedures, and best practices and ensure successful implementation of the American School of Quito’s Strategic and Master Plans. Maintain financial discipline and fiscal accountability. 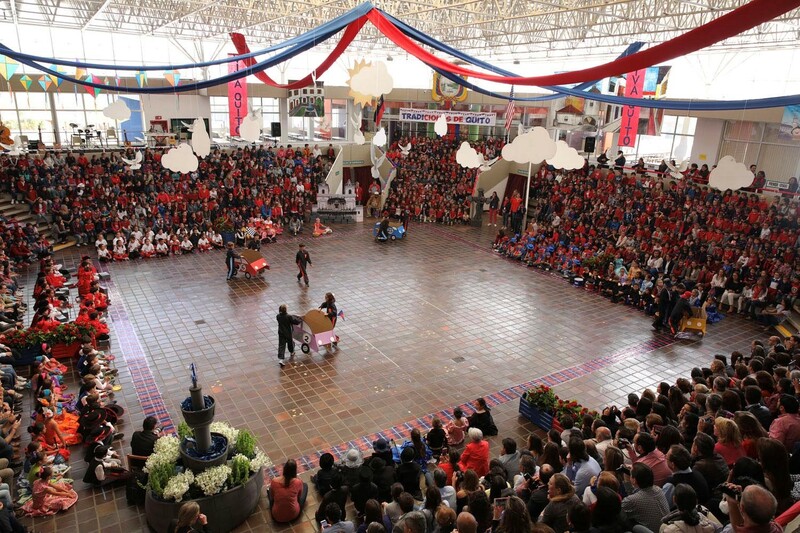 Maintain the American School of Quito as the leading national school of choice amid increasing competition in Quito. In collaboration with the Directors of the various sections of the school, develop and implement a multi-year strategic plan which will serve as the roadmap for continuous improvement across all aspects of the school operation. Work in collaboration with the Board of Directors to establish short, medium and long-term goals that will focus on mission and vision achievement and reflect a commitment to both the core values and the “ends” of the Foundation. Successfully execute the resolutions developed in collaboration with the Board of Directors and the School’s management. Ensure that the American School of Quito sustains the highest level of national and international school accreditations. Develop and implement plans to successfully recruit, retain and develop the quality of faculty, staff and administration necessary to successfully achieve the mission and vision of the School. As part of the strategic plan, develop a comprehensive plan for ensuring excellent communication both internally and externally with all School constituent groups. Ensure the financial stability of the organization, as well as further develop a program of advancement that will include; communication, alumni relations, community relations and fundraising. The Director General participates in all meetings of the Board of Directors and has a valued voice but no vote. The Director General is the chief advisor to the Board of Directors on all policy-level matters. Serve as the chief representative of the School with appropriate entities of the government. A learning-focused leader who is able to successfully communicate an inspiring vision for continuous improvement across all aspects of the school and in particular for the innovation that will insure that American School of Quito remains current in delivering a high-quality education program which reflects research-proven best practices. An individual who is committed to the further development and implementation of a new campus master plan as well as further improvement of the teaching and learning environment. Models a collaborative leadership style and understands and empowers each group within the American School of Quito community to make quality contributions which result in improved student learning. Director General experience or in lieu a proven track record of demonstrated international educational leadership experience and success to be considered by the Search Committee. A Director General who is able to work effectively with a Board of Directors who bring both considerable passion to their Board role and an abiding commitment to the success of the American School of Quito. Demonstrated ability to be open-minded, flexible and to effectively lead and work with a diverse population of students, parents, faculty and staff. Demonstrated commitment to a multi-year tenure of service in the role of Director General. Excellent interpersonal skills which include: being approachable, being a good listener and being an effective communicator in Spanish and English. Someone who embraces, respects, understands and values the Latin American culture. In providing clear direction to the entire school community, the American School of Quito needs a leader who is competent, confident, firm, fair, visible and a thoughtful listener. The salary and benefit package for the Director General is competitive and will be commensurate with the candidate's qualifications and experience. The Board of Directors has appointed Search Associates as its partner in its search for a Superintendent, with Dr. Brent Mutsch serving as the lead consultant. The deadline for applications for the position is February 15, 2019. Candidates are asked to submit a letter of interest and the requested materials listed below as early as possible as the Search Committee reserves the right to close the selection process at any time if the right candidate is identified. The review of files will begin as soon as applications are received. Finalists will be selected by the Search Committee and at least three finalists will be identified. Finalist candidates together with their spouse (if applicable) will be invited to Quito to meet with the Board of Directors, visit the school and meet with faculty, non-teaching staff, parents, students and administrators. The new Director General will be selected at the conclusion of the site visit, final interviews, and reference checks. The new Director General will assume his/her professional responsibilities in July 2020. A letter of application, explaining your strengths as a candidate and why you are interested in the Director General position at the American School of Quito. Total document size should be kept to less than four (4) MB if possible. Applications should be sent to: bmutsch@searchassociates.com . Additional information about the American School of Quito can be found on the school’s web site at < www.fcaq.k12.ec> .